Why Hire a Conference Room Off Site? How Often Do All the Facilities of a Conference Room Get Used? Do you have these facilities sitting in your boardroom hardly being used? 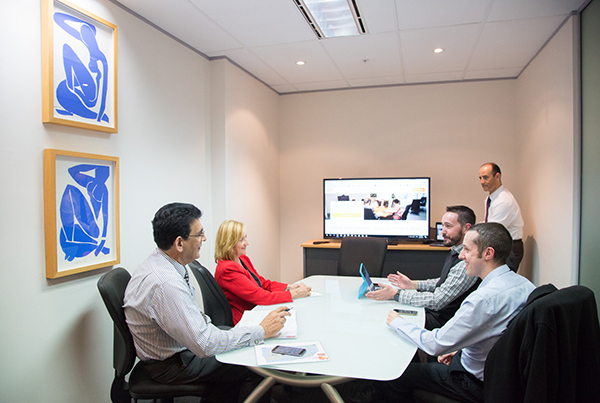 Would being able to hire a conference room or executive boardroom be more convenient? Some of our clients have actually sold up all their conference room furniture and equipment, and either transformed the space into something more practical or downsized their office completely (saving big bucks on rent). Some days are just full of meetings and when they are, you don’t want to be distracted by other little “to-do’s” that creep up. Having a staff member bring you a few extra memos, or an unexpected client drop in between meetings isn’t good for your focus. By using a conference room off-site, you’re able to completely focus on your meetings, and the task at hand. Sure it’s important to have access to your emails, but if you’re meeting with clients or important suppliers (or even staff members), you should be 100% focused on achieving the goals of the meetings. By not being in the office you aren’t open to these extra distractions. Things that your co-workers may have bought to you because you were accessible will just have to wait until you’re physically back in the office. SOI understand that when you use an off-site conference facility, you expect them to meet (and exceed) your needs. 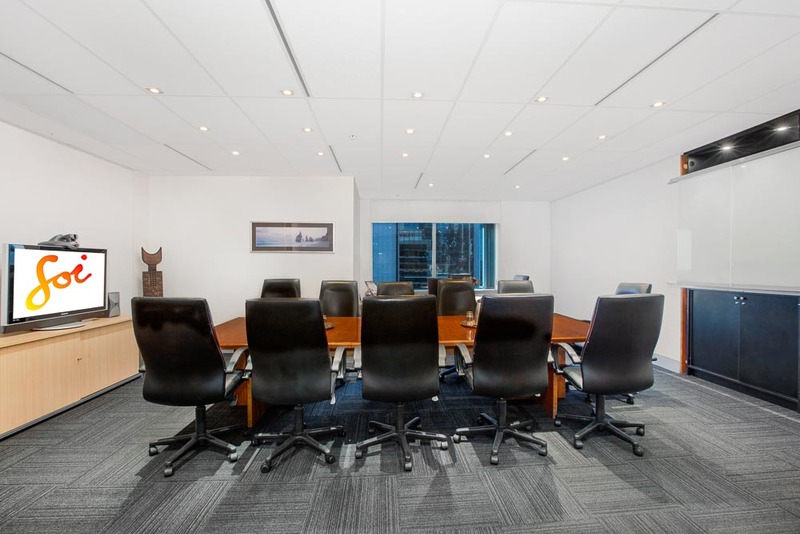 That’s why SOI offers executive and boardroom solutions that cater up to 16 people and with views that overlook Darling Harbour. Will your meetings run late, or do you normally conduct them later in the afternoon? We also offer after hours booking options for you too. We find our central Sydney CBD location is perfect for local businesses but also those that have colleagues travelling from further afield. Don’t Need the Size of a Conference Room? We can also accommodate meetings from 2 people through to 16. Or is a training room more what you are looking for? We have training rooms that cater from 20 through to 60 people. Our training rooms also have the flexibility to adjust seating arrangements, based on your needs. There’s also no need to hire our meeting rooms for longer than you’ll need. Whether it be half an hour through to half a day, or even a full day, SOI has solutions and packages to meet your needs. We also have relaxing breakout rooms if you and your guests would like to reset and recharge your batteries.